After a most unusual career, CologneOFF – Cologne International Videoart Festival – was finalized as a media art project by Wilfried Agricola de Cologne at the end of 2014. In 2014, CologneOFF realised its 10th festival edition in sequences – a entire era of art & moving images based on digital video technology – celebrating 10 years exciting developments in the field of �art and moving images� as a final highlight of this unique and successful festival project. Founded in 2005, CologneOFF was from the beginning an experimental and temporarily limited festival project, launched at first exclusively online as Cologne Online Film Festival (CologneOFF), but soon renamed to Cologne International Videoart Festival taking the interests of international festival into account to present the curated festival progrselections by Wilfried Agricola de Cologne. The project was based on the unconventional concept to be a festival without a static festival location but built on global networking instead, based on a growing collection of art videos to be expanded each year by realising a new festival edition, instead of organising each year again an event just for 3 days, based on a dual system of equal virtual and physical components, focussing on new and experimental artistic expressions, instead of following already known paths. All this gives its founder and director Agricola de Cologne all freedom to set through his ideas of encouraging artists to create “total art” works by using the multi-facetted medium of digital video. 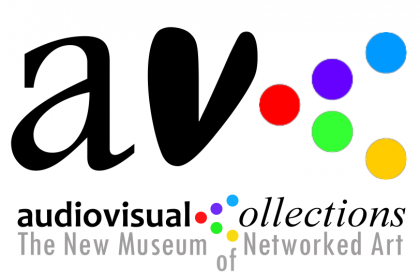 Cologne International Videoart Festival was a project run by artvideoKOELN – the curatorial initiative “art & moving images” and directed by Wilfried Agricola de Cologne. in total, an interactive context intending to link the audience, artists, curators and institutions by thinking and acting in new terms without any restriction. CologneOFF will be maintained as the exhibition format �CologneOFF 20XX nomadic� in the framework of artvideoKOELN international. The videos and fils of these 10 festival editions form another unique collection of artvideos to presented to the audience also in future in different constellations.